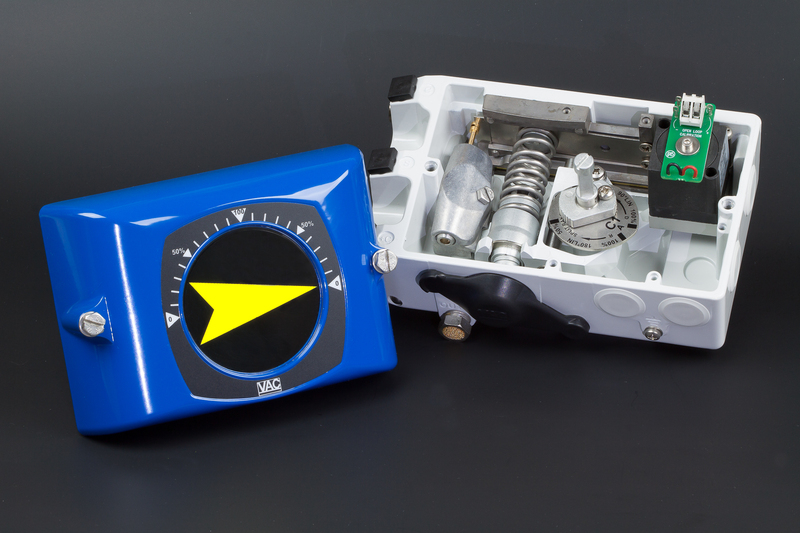 The V200IS electropneumatic positioner is used where Intrinsically safe (IS) applications are required or accepted. Intrinsically safe circuits utilize a safety barrier, located in a non-hazardous location, in conjunction with the V200IS positioner. The V200IS has approvals for CSA and FM. Just as for the V200E the V200IS can be converted from a V200P, just by adding the basic internal IS IP converter module, at time of order or in the field – simple and effective. The V200IS accept the traditional two wire, 4-20mA input signal via a safety barrier is available for use on rotary or linear applications. The V200IS utilizes a unique spool valve, is a cam characterized, forced balanced instrument that is simple and rugged. The V200IS have a pre-calibrated internal IP which uses the actual supply air pressure, filtered through a specially designed filter. The IP converter then converts this pressure via an electrical signal to a 20-100kPa / 3-15psi signal back into the positioner signal diaphragm chamber for mechanical positioner response.